What is "The Lunch Belle?" From the name of your website, I gather that you only write about lunch. Is this true? Why is your website called "The Lunch Belle?" I want to start a blog, but I’m not sure of a topic. Why did you choose to write about food? Do you have to be a “human Zagat guide,” chef, A+ English and grammar student, or computer whiz to start your own food blog? Do you receive comments from your blog posts? I see that Mexican food is your favorite cuisine, though I’m confused: Isn’t a food blogger supposed to only eat fancy stuff with foams and weird sauces? If you were on death row, what would you choose for your last meal on earth? Want to surf The Lunch Belle, but don't know where to begin? Got a specific cuisine in mind, or do you already know the name of the restaurant you're looking for? 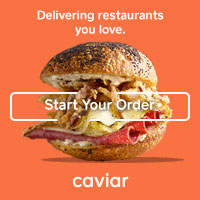 Interested in checking out a restaurant's website? Unless otherwise noted, all content © 2012 The Lunch Belle.